Two issues come to mind that lie behind this debate. One is the use of community land for social and aged care housing – to be address in another post. The other is identified in the community’s response to this development application. People have raised issues about the problems that may occur with traffic given the chaos that already occurs along Grey Street when it is drop off or pick up times for children. 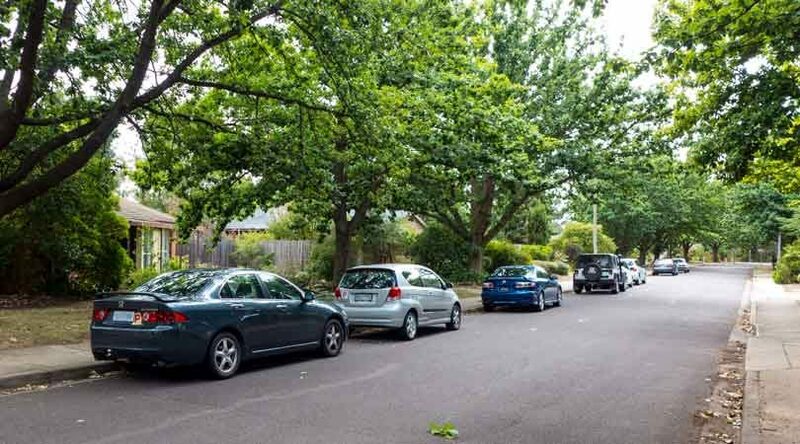 Along with many urban areas, Canberra has many suburban streets that fill up with the comings and goings of parents’ cars as well as are witness to over parking by senior students who attend a nearby secondary college. This happens in Dickson. Several years ago locals had to petition the government to fix parking in streets near to one of the local colleges as the buses could not get through to the childcare centre. This was fixed but it really moved the problem onto other streets. In turn action was taken on these streets, and the problem moved further out. And it is not just the number of cars – it is also often where they park. 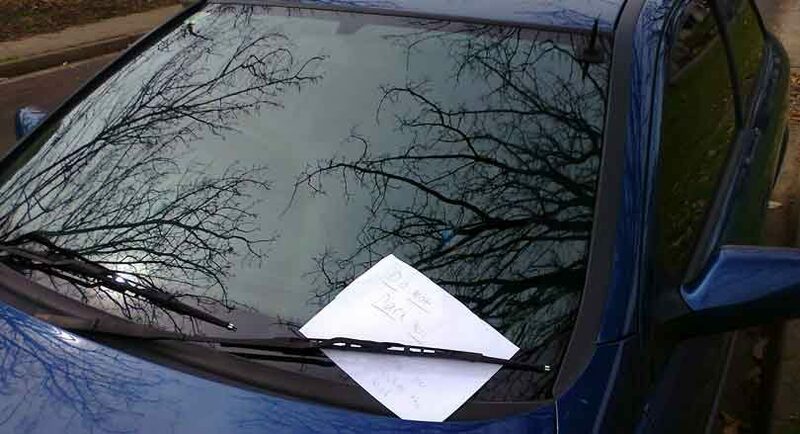 Hence the image at the top of this page – where a resident has asked the owner not to park as they had – and this is not the only one of these signs I have seen. I am not sure of the solution – other than asking the colleges to build enough car parking to accommodate their students and staff. Is this something that the planning authority has ignored? I suspect that over the years the number of college students driving cars to school has increased. I am sure some of them could use other means of transport. While that may be logical, I doubt it is a winnable argument for residents let alone for the parents involved. As a tangent to this – it is amusing to see the number of students who drive to the local shops (usually Maccas) to get lunch and then drive back; a distance of less than a kilometre. Enough on that. So there are two problems with school traffic that seem to not get much attention from planners. One is the college student parking. Should the colleges be providing more parking on site? The other as is the case with many schools, is that many parents drop off and pick up resulting in traffic snarls on local streets not designed for this level of traffic for such short times twice a day. The suggestion would be that a strategy be adopted to have improved drop off-pick up places built into the streets occupied by local schools. As for the issues in Deakin, the traffic matters that are occurring already should be a focus of attention. As is the case for many schools, there needs to be a redesigning of the streets and an improvement in the availability of spaces for drop off/pick up to allow for this level of traffic twice a day. I think it used to be called planning. If that could be addressed, then this should not be an issue for aged care facility proposed for this site in Deakin. Then there is the question as to whether this is the right use is of this site. But that discussion, being about age care/social housing v. the community desire for community landscapes, is a very relevant discussion (hot topic) and is to be the subject of future post.